The Club 24 is coming to Magnolia Marketplace in the old Shoe Choo location. According to their Facebook page it will be $15 a month with no commitment. Opening January 2016, The Club 24 at Magnolia Marketplace in Flowood! No Joining Fee $15 a month (no commitment). 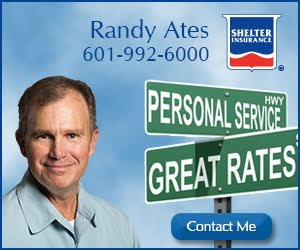 Stop by The Club on Lake Harbour to join or call (601) 605-9886. I wonder if the other clubs around this area will follow suit on fees or take a beating with their clients leaving. Excited to see Club 24. There is a ton of grumbling from members of the Crossgates Courthouse location leaving when they are scheduled to re-open open in 3 days, as they will no longer be a 24 hour gym. Too bad the instructor-led classes pay at the Club is the lowest in town. I, for one, will have dual membership. Looking forward to it.